With the arrival of cooler temperatures homeowner’s often think any pest problems are over until spring arrives. While some insects migrate to warmer climates, or overwinter in a type of hibernation, other insects remain active through the winter. For example, termites are active year round, and in southern regions, continue to lay eggs through the winter. However, in temperate areas, egg laying is suspended during cold weather. Termites are an example why year round pest control in Fort Worth is required. Contact The Bug Dude today to schedule pest control services. In its natural environment, termites metabolize cellulose into food, The cellulose comes from the leaves and the wood dead fall from trees. Their waste products add nutrients to the soil forming a cycle in nature that benefits the environment. Termite colonies contain workers, soldiers, a queen and her attendants. The queen can live for years and produces thousands of offspring in her lifetime. Texas termites are classified as either subterranean or dry wood. Subterranean termites live underground, where they excavate complex tunnels to food. Dry wood termites do not require contact with the soil. A king and queen termite can start a colony by slipping through a crack into an attic or wall. Termites are not a pest to be ignored, as they eat the wood that comprises your home, including its frame structure. In addition, they will eat any form of cellulose, wood, paper, cotton, cardboard, and burlap. As termites require water, any leak or areas where rain can collect facilitates an infestation. Contacting a plumber for leak repair is an essential step in discouraging termite infestations of your home and/or surrounding structures. 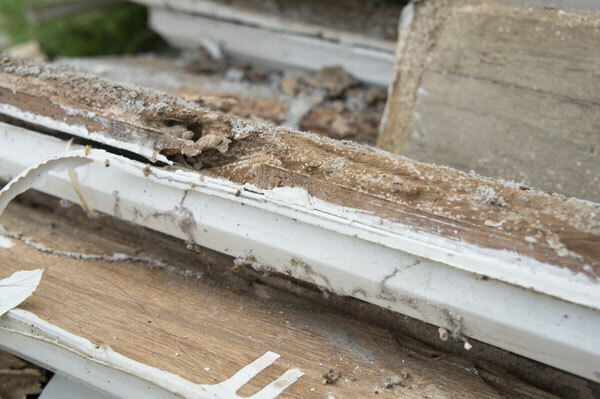 Termites are responsible for billions of dollars in damage each year, and is the reason why professional pest control in Fort Worth is essential. Our professionals begin termite treatment by identifying the type of termite present in your home or property. Next, we search and identify the location(s) of damage and infestation. A reliable warning sign of termites is mud tubes rising from the ground anywhere along the foundation. The recommended treatment depends on the type of termite found. Providing a custom treatment plan that is the most effective plan once the termite type is identified. Once the infestation is taken care of with pest control in Fort Worth, our professionals provide post-treatment with routine inspections of the treated structure to ensure that termites do not return. Interrupting the cycle of termites is essential in preventing the growth of the colony and the area of damage. A termite colony requires approximately two to four years to mature. Once matured, the colony population is large enough to cause serious damage. If pest control in Fort Worth is not provided, the population continues to expand exponentially, along with the growth of damage. • Contact a plumber for leak repair indoors and out. • Repair or replace leaky roofs. • Maintain gutters to ensure water is diverted away from the home. • Ensure ventilation pipes are functional and free of debris, and use screens on ventilation pipes that do not exhaust heat. • Ensure foundation plantings are at least 12 inches from the foundation and the wall. In addition, do not use wood mulches. • Seal potential entry points, such as cracks and crevices in the foundation or siding. In addition, replace door sweeps, caulking around windows and doors, and seal around pipes and utility lines that enter the home. • Store firewood and lumber at least 20 ft. from your home. However, termites will travel as far as 130 ft. to a food source. • Clean up brush piles and other sources of potential food for termites from around your home. • Inspect wood fences, decks and posts routinely for termites. When termites are found, contact The Bug Dude for pest control in Fort Worth. Swarms occur in the spring when the young termite nymphs molt. On leaving the colony, the sexually mature male and female termites swarm in the spring. The swarm is seeking new locations to form their own colony, in your home, garage or other structures. The satellite nests they form for new colonies multiply the potential for damage. However, this doesn’t mean damage only occurs during the warm months. Homes provide the essential needs of termites year round, and damage can occur throughout the year. Only professional pest control in Fort Worth can prevent termite damage. The following signs can indicate the presence of termites. If you see them contact The Bug Dude for pest control in Fort Worth. • Buckling paint or small holes in the wood. • Mud tubes on exterior walls, wood beams, on the foundation or in crawl spaces. • Wood that sounds hollow. • Discarded wings, occurs typically during a swarm. • Swarming termites inside the home indicate an infestation. Remember, termites are active even when they are not visible. Seeing termites or any of the given signs may indicate damage is already underway. Contact a professional for pest control in Fort Worth. Professional pest control in Fort Worth is the solution for protecting your home and other structures surrounding it. Contact The Bug Dude today for an inspection to ensure termites do not causing costly damage to your home.